He who reads through translation looks through a blurred pane, not experiencing the full flavor and the soul’s yearnings. 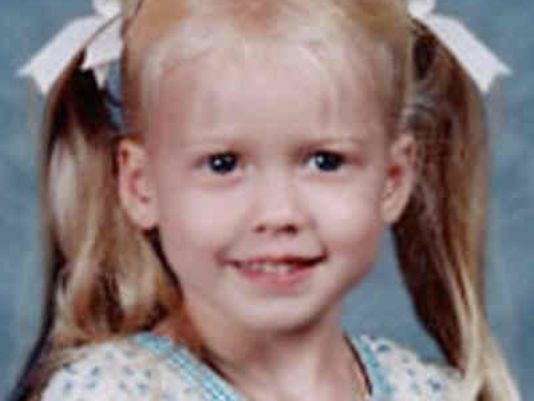 Sabrina Allen, who was abducted in 2002 at age 4 by her mother in a custody battle, has been found in a secret rescue mission near Mexico City and returned to the United States, the private investigator involved in the search said Wednesday. Sabrina, now 17, was rescued in an operation conducted by the Mexican Federal Authority, FBI and U.S. Marshals in Estafeta Tlaxcala, about 60 miles southeast of Mexico City, according to Philip Klein, with KIC Investigations. Klein told USA TODAY that Sabrina and her alleged abductor, Dara Llorens, were flown back to the U.S. on Tuesday night, arriving in Houston. I insist on using evidence that is verifiable in cultural and documented substantiation to elucidate the information provided somewhat cursorily in the apostolic writings which themselves reflect earlier Jewish writing that begins in the Tenakh and continues with the apocryphal writings — and they are consistent even with later Jewish literature and archeological evidence discovered in such finds as the Dead Sea Scrolls (representing a variety of ancient Jewish literatures). When I was catching up on the numerous comments on my various blog posts, reading PL’s words, I immediately thought of the news story I’d read just a few minutes earlier about the rescue of Sabrina Allen. Sabrina was (allegedly) kidnapped by her non-custodial mother at the end of a six-month period of court-supervised visitation in 2002. For the past twelve years, Sabrina had been living with her mother in a town sixty miles southeast of Mexico City. I have a background in Social Work and Child Protection, and given that, I was imagining what this child had been through and now, at age 17, what she is facing. Probably most people reading the news story about her rescue breathed a sigh of relief and thought that she’s going to be OK now that she’s being returned to Dad. Problem is, she hasn’t seen Dad in twelve years and her entire world is built around Mom and living with her in Mexico. There’s a good chance that Mom told Sabrina a whole bunch of bad things about Dad, so this teenage girl may not be at all happy to see him. I’m betting she runs away the first chance she gets since right now, she’s feeling like a foreigner in an alien land, surrounded by a bunch of strangers. Thirty-five hundred years or so ago, God gathered His people Israel to Him at Mt. Sinai. Through the prophet Moses, He gave Israel the Torah, the Holy Word of God, and commanded them to obey His Word as their part of the covenant He made with them. Then, for the next fifteen-hundred years, more or less, Israel made a concerted effort to do just that, with the results being a sort of spiritual and experiential roller coaster ride, with some generations being obedient and some generations rebelling, suffering, and going into exile. Through his apostles, many more disciples were drawn to his teachings, and particularly through one late arriving apostle named Paul, many non-Jews were brought into discipleship while not having to undergo the proselyte rite and take up the same obligations that were the conditions of the Sinai Covenant, since only Jews belong to that covenant. The Gentile disciples, as part of their introduction and integration into “the Way” were taught the Jewish scriptures and received the teachings of their Master as well as other teachers through various means, including letters. It must have been a challenge for these non-Jewish peoples representing many languages and cultures, to fully grasp the complex and nuanced meaning of thousands of years of Jewish holy literature, since the Jewish people teach, live, and think much differently than the world around them. Nevertheless, if a Gentile really wanted to be a disciple of the Jewish Messiah King, he had to take every opportunity to learn from his/her Jewish teachers and fellow disciples to grasp a completely different cultural and educational matrix in order to fulfill his/her role to Israel and to God as a “crowning jewel of the nations” in fulfillment of the New Covenant prophecies. I know that all sounds harsh and highly critical of the early history of the Church, but in the Second and Third Centuries CE, that’s how it would have looked, especially to the remaining Gentile disciples of the Master who, right before their very eyes, saw the Word of God, which they cherished and were zealous for, transformed so that it would provide a completely alien understanding of what God wants and the nature and purposes of Yeshua…uh, excuse me, “Jesus Christ”. The “child” is illegally spirited away from the “custodial parent” and taken to a foreign land, vanishing from sight for the next twelve years, or more accurately put, the next nearly two-thousand years. To be fair, the “child” has been seen innumerable times by Jewish people since then, but her “appearance” was so drastically altered, that she not only was completely unrecognizable by the custodial parent (the Jewish people), but she looked like a terrible enemy and a horrible threat to Jewish survival. The “parent” rejects and even shuns the child and the non-custodial parent, tries to pass off someone who looks like an obvious impostor as the Father’s child for the purposes (often unwittingly) of inducing the Father to accept someone who couldn’t possibly be his Jewish offspring. Then, in more recent times, the child’s disguise is penetrated and a rescue mission planned. But at this point, there is so much confusion about who is who, that even taking back what was once theirs, the Jewish people, redeeming the Jewish Apostolic Scriptures and bringing them back home, draw great ire, not only from the non-custodial (Gentile) parent, but from most other Jews as well. How dare these few “Messianic Jews” bring a dangerous impostor into the fold and call her one of their own? It’s ridiculous. It’s heresy. What Jew could possibly love a Bible that has been used for centuries to justify murdering and maiming Jews, and incinerating Torah scrolls, volumes of Talmud, and synagogues. But there’s a “father” out there who has finally, after so very long, recognized his only “daughter” underneath the cheap makeup that tried to turn a Jewish “child” into a “Goyishe” traitor. He loves her. He know she belongs with her “sisters” (the rest of the Jewish scriptures) and in a Jewish “home”. But even in successfully pulling her back from exile, the “father” is so alone, for most other Jews will not accept him as long as he claims these foreign books as his lost child. So not only is the “father” isolated from other Jews, he is cast out by the Gentiles as well. He is in-between and nowhere. All he wants to do is go home and take his rescued “daughter” with him. But all “children” come from God, as did the Torah, the Prophets, and the Writings (which were distorted by the non-custodial parent along with the youngest “daughter,” the Apostolic Scriptures), and so too the kidnapped child who has now been brought back. God will find a way for everyone to see who this “little girl” really is and to bring her back into the “family” (the Bible) so that all of the “children” are unified with each other and look like one. I know I’ve confused the imagery and the comparisons are less then perfect. It’s probably been difficult to follow this metaphorical essay and keep everything straight, but this is how I see the Apostolic Scriptures and how they are being reclaimed by Jews in Messiah (as opposed to Hebrew Christians). It’s not that Christians must convince Jews to accept the New Testament which looks and speaks with a foreign accent, it is we Gentile Christians who must get it through our heads that we have misappropriated Jewish holy books, changing their “face” in the process, so that they no longer look Jewish or speak to Jewish people. We have to give them back, not that they don’t mean something to us, for they mean everything to us, but we must let them be Jewish, to speak with a Jewish voice, to have the face of the Jewish authors and readers and students, just as in days of old. Only then will they speak the truth to both Jewish and Gentile ears and only then will we see the face of the Jewish King in her pages. Addendum: In case you’re interested, here’s an updated news story about how Sabrina is doing so far. Great analogy! How about a contemporary “parable”? Really enjoy your Meditations! Good story. Can you see that both the kidnapping and the rejection are an expression of the divine will? Messianic Jews, some to greater or lesser extent, brought the kidnapped child back without cleaning her up too well, changing her clothes or her attitude, but pretended she was alright the way she was. Those who consider evangelical Christians who attack Israel, “their brethren,” (yes, I heard this) but non-Yeshua believing Jews as, “lost,” or not their family, is one reason I can’t join myself any longer. In the less than 20 years that former evangelicals have had their hands on torah, we have seen it twisted, altered, misused and employed to attack Jews. Perhaps it was better that torah was feared and despised? Well, my analogy isn’t perfect and unfortunately, neither is the path to rescue the Apostolic Scriptures or for that matter, the Torah, from the hands of Evangelical Christianity. But somebody had to start somewhere. Whatever religious “system” we subscribe to is going to be imperfect, they always have been, until Messiah returns to straighten us all out. Even “lone wolves” such as what I am currently are really no better off and in some ways we’re worse off. At least in community (assuming like-minded community), if someone goes off half cocked, others can help ground them a bit better. A “distance learner” like me has to be careful to continuously check in with other sources, and even then, I could spiral off in some funny directions (and I’m sure my former Pastor thinks I already have). Thanks James and PL. The rescue mission needs to continue. When great works of art or precious artifacts are discovered, they are handled by expert restorationists, who possess the knowledge and skill to properly handle these priceless works and not damage them further in the process. May those called to the rescue work emerge and act courageously in our time. And may the Hebrew language versions of Greek texts alluded to in ancient literature be revealed in our day, for such a time as this. One person’s, “half-cocked,” is another person’s prophet. Community can be a two-edged sword. While it can help those going off into obvious sin or irrational thinking, it can also quash the relationship the person has with heaven, turning it to the group and its leader(s). I would like to find a group that is asking questions and searching for answers together; not those who claim they have all the answers. James, I don’t know if it is my computer or your page, but the comment seems to be at the bottom of the page and it is difficult to get to the place where it is sent. Hi, Chaya — I don’t think you need to be quite so harsh with the MJ character in this overall allegory. I can step back a bit to view the past four decades from a distant perspective that does not focus on the details of those who failed to pursue the MJ paradigm diligently and thereby did not contribute positively to the reclaiming of the apostolic writings by seeking to heed the implications of their original context. Instead, I can focus on those elements of MJ that have been working throughout these decades to redevelop honestly Jewish messianism from the research that has been occurring to elucidate the culture and views of the period and the people represented in the apostolic writings, including the passages which require re-translation and re-formulation to bring out their original meanings (i.e., a “glass-is-half-full” sort of approach). For some folks, the new paradigm has continued to offer guidance, even though others have fought it “tooth and nail” or simply ignored it. Given the 18-19 centuries during which this captive has been hostage, reclaiming it within less than half a century is quite an achievement — though of course the work is not yet complete. The few people I know who are reclaiming are not part of the formal MJ or HR movements. The formal organizations and their followers have too much at stake to change what works – for the big shots at least. My back has been out so I was attempting to find a Yom Kippur service to watch. The MJ ones left me with a bad taste in my mouth due to lack of depth (okay I am an admitted elitist in the area of scholarship) and I just don’t feel a spiritual and emotional connection, as if there is nothing there. I spent the day doing some reading and found a (surprisingly) wonderful, kavanah filled, mostly traditional Reconstruction neilah service. MJ began with evangelical theology + Jewish traditional and cultural practices. A few added torah, usually torah lite, but they didn’t re-examine their evangelical theology, and sort of married the two. I don’t want to hear torah apologetics; I want to hear wise and insightful teaching from someone who knows a whole lot more than I do, who challenges me and teaches me something I didn’t know already. I feel I shouldn’t even bother to listen to someone who has the arrogance to take on the label, “rabbi,” and lacks even a percentage of the learning expected of a rabbi. At least back in the old days, no one called themselves, “rabbi,” and most had seminary training, while many of these, “rabbis,” didn’t even graduate college. I even had someone on FB tell me I had no right to say that a non-Jew who claimed to be Jewish, as well as is considered a rabbi via one of the online ABC organizations, was not Jewish, as he was recognized as Jewish by his organization, as well as by the gentiles who make up MJ, including the non-Jew who told me this. (at least he doesn’t claim to be Jewish) He did post a status asking people to wish their Jewish friends a, “Happy Yom Kippur.” This is beyond comment for a person who claims to follow torah. Better they stay in the church than treat our precious things as toys for entertainment. It is easy to sell a poor product to those who lack the ability to even know it is a poor product, and perhaps prefer the poor product? I look at the origins of MJ just a bit differently, Chaya. What you describe as “evangelical theology + Jewish traditional and cultural practices” fits the HC model which was pretty much the best available approach toward Jewish Rav-Yeshua messianism at that time four decades ago. But it was just the opening of a doorway into the paradigm shift. It created an environment that had removed traditional Christian stigma against Jewish praxis and culture, allowing naïve young Jews to begin to explore the implications of having accepted a truly Jewish Messiah. Obviously they had no fully developed alternative theology to study; but some were already posing questions that challenged prior theological formulations. Indeed, I can remember meeting one family at MJAA/YMJA (even HCAA/YHCA) conferences (whom I did not really get to know well because they lived far from where I lived) who did demonstrate and advocate a more orthodox Jewish approach, who were a bit ahead of their times and who tended to be viewed a bit skeptically by those whose Jewish background was Reform or otherwise assimilated. Regrettably, the folks in control of HCAA/MJAA were also of a Reform mindset (at best) and did not encourage this stream of MJ. Nonetheless, the stream continued to develop, spawning the UMJC along the way with a somewhat more Conservative-like outlook. But this stream has not been in the limelight, though it has been fostered by organizations such as Hashiveinu, and there was briefly an organization called Association of Torah Communities (“ATC”) that fostered a modern orthodox approach. There are other similarly small acronym groups trying to maintain an existence at present, though I am not sufficiently familiar with any of them to evaluate how well they are pursuing the MJ paradigm. There are limits to what such small organizations can do even when they have the right ideas, and the culture in the USA has shifted away from the mass-movements-for-change model that worked in the 60s and 70s. The strategy must be somewhat different in the current environment a decade into the 21rst century, where social coordination tends to occur on the internet. I tend to be a bit dismissive of the many other streams that have misappropriated the MJ label for other approaches, including continuation of the HC or the pseudo-Jewish-evangelical models. If they were merely weeds in the MJ garden that I might uproot and dispose of, in order to allow the MJ model to flourish, I would be tempted to uproot them; but I suspect that they must be viewed rather like the parable of the tares among wheat, which had to be left in place until harvest, lest much of the wheat be uprooted and spoiled along with them. So, instead, I try to concentrate on strengthening the good plants, by advocating the kinds of perspective that characterize the most genuine forms of Jewish messianism insofar as possible. Indeed, unlike the parable, some of these tares might actually become transformed into actual wheat, given a sufficiently good example to emulate. I agree we need to get back to the Jewish roots of the Apostolic Scriptures. We need to understand them in the context in which they were given, but I have one problem. Most of what I see coming out of the DI, OL and MJ movements is dry scholarship. Where is the joy of salvation, the peace that passes all understanding and the sharing of life? There is more of these three in many Christian churches than what I’ve seen in MJ. Aside from accurate scholarship, what is appealing in the message given? I find most people do not care for scholarship. Whether they need to or not is another discussion. What they want is some personal assurance, a personal encounter with God. It needs to be in the right context, which has not been there entirely, but they want connection with God. Show them that connection, joy and life in the midst of the scholarship and you will not be able to keep them away from seeking the accurate view Jewish perspective of Scripture. The environment and experiences you suggest depend on the community involved, whether it’s a church, synagogue, or other group. We tend to think of “organized religion” as run by the leaders, but it’s really up to the people who attend the congregation to create the environment and the relationships. If they desire an encounter with God within their walls, they can create an environment supportive of people seeking such encounters. Alternately, any individual at any time can pray to God to open his/her heart to such an encounter. It’s not up to leaders or Pastors or Rabbis to induce or inhibit anyone’s relationship with the Almighty. As far as scholarship goes, this is just my own bias, but if you don’t have good scholarship, then how can you know what the Bible is actually saying, and thus, how the Word directs us to respond to God? That said, not everyone wants to be a serious student and as you say, many just want to have their beliefs confirmed and be reassured that they’re doing OK. Frankly, that seems a little shallow to me, but I just finished attending a church for the past two years, and even though the Pastor pushed reading the Bible daily and regular Bible study, most of the people there wanted exactly what you said. But what if the Bible isn’t just about personal salvation? What if God’s overarching plan is for the national and corporate redemption of Israel, and through Israel, the redemption of the entire world? That changes the landscape quite a bit and to my way of thinking, in a very exciting and positive way. It’s not just about “me and Jesus” but about how God keeps His promises from the very beginning, and what amazing promises they actually are. Joy isn’t something that’s controlled by an outside entity. Joy is something that happens when you experience God and one of the ways to experience Him is by reading and studying the Bible. My idea of scholarship is creative, thoughtful insight based upon serious, careful scholarship, not dry stuff. Think Rabbi Abraham Joshua Heschel. 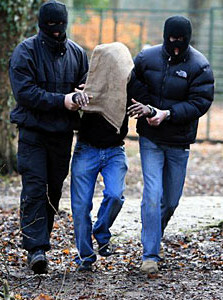 I definitely see the kidnapping parallel, James, and have referred to the Christian usurpation of the Apostolic Scriptures – in my more angry, cynical moments – as a “hijacking.” But now, with the Messianic interpretation available, it seems the hostage-keeping has taken an even more hardened, defiant tone. Were the church to be “cornered” with its hostage, and surrounded by angelic SWAT teams, it seems to me that it is so overwhelmed and blinded by its own triumphalistic history that it would choose to go down fighting in a blaze of triumphalistic glory believing that its cause was true. I expect the Church’s response to get worse before it gets better, and I have a terrible fear that when Messiah returns, much of the Christian church will reject him as the “anti-Christ” because he’ll appear “too Jewish”. I think it’s interesting to notice that while Christianity blamed the entire Jewish community for “missing” the Messiah and invoking the crime of deicide against them, the reverse is happening to some extent now: the original Jewish faith of Yeshua is being rejected by Christianity. Perhaps nothing, perhaps something… seems interesting to me. Not likely considering antichrist’s appearance precedes the return of Jesus by a number of years. Wouldn’t those who hate Jews and Israel follow a Jew-hating and Israel hating political/religious leader? Its not as if it hasn’t been done before. Opinions may vary but scripture doesn’t. I agree we need to get back to the Jewish roots of the Apostolic Scriptures. We need to understand them in the context in which they were given, but I have one problem. Most of what I see coming out of the DI, OL and MJ movements is dry scholarship. Where is the joy of salvation, the peace that passes all understanding and the sharing of life? As far as scholarship goes, this is just my own bias, but if you don’t have good scholarship, then how can you know what the Bible is actually saying, and thus, how the Word directs us to respond to God? By reading it for one’s self instead of through someone else’s teachings and traditions. By accepting and believing what it actually says without making excuses and seeking loopholes..
By trusting God: that He is willing and able to communicate to those who want to know Him that HE hasn’t hidden the truth behind a complexity that can only be accessed by “scholars”. @O: Many Christians don’t even read the Bible, so they are unaware of what Scripture actually says. Those Christians simply trust what they hear from the pulpit or from their Sunday school teachers, so they expect a totally Gentile Jesus to come back for them. When he doesn’t and when a Jewish Messiah King arrives instead, there’s going to be a lot of confusion. @Chaya: Yes. So if the anti-Christ (and the jury is still out as to whether this is some supernatural figure yet to come or some completely human figure who already came and went in history) appears as a “Jew-hating and Israel hating political/religious leader,” a lot of Christians are going to follow him, more’s the pity. @O again: OK, I give up. I’m nothing but a robot slave. I believe only the “experts” and have no will or thought of my own. I am totally programmed. Only you are enlightened (note the heavy sarcasm). Sorry for the mini-rant, but we’ve had this argument before and every time we do, you seem to think you have the corner market on truth, justice, and the Christian way. If you want me to think for myself, why should I always have to listen to you? That’s exactly the point I’ve been trying to get across for ages, as well as the point that many of those who DO read scripture will do so through the lens of a commentary, study bible or some other interpretive aid instead of just reading the scriptures for themselves and trusting that God through the Holy Spirit will give them the understanding they need. so they expect a totally Gentile Jesus to come back for them. When he doesn’t and when a Jewish Messiah King arrives instead, there’s going to be a lot of confusion. Any time for confusion will be over when Jesus returns. Those who genuinely believe in Him will be caught up to Him on His return, being changed to be like Him. Those who “followed” Him in name only would quite possibly have mistaken the antichrist for the real Christ (not vice versa). At Jesus’ return there will be no confusion over who is the REAL Messiah. And James – no need for the mini-rant and the false accusations. As I said elsewhere I’ve followed and read your blog for a long time. And particularly in recent times I’ve seen where the study material you have summarised and reviewed is taking you and affecting your views of the gospel, to the extent that Jewishness seems to be portrayed as more important than Jesus Himself. No Jew will be saved merely by the fact of being a Jew. Salvation is found only through Jesus, for both Jew and gentile. If you want me to think for myself, why should I always have to listen to you? James you have the choice of who you trust to give you understanding. You can trust the teachers of your own choosing who cater to your own interests. Or you can trust the teacher promised by God – that is the Holy Spirit, the One who inspired the scriptures. I’m not asking you to listen to me – I’ve been saying all along LISTEN TO HIM. @”O” — When Rav Shaul told the Corinthians that he was “setting forth the truth plainly”, he was not interpreting the apostolic writings (not even his own). And he was certainly not reading to them superficially from the Tenakh, because the whole notion of gentiles who would be cleansed to serve HaShem was not explicit therein at all. The hints that existed had to be drawn out via an interpretive matrix that included the apocryphal literature and all the training he had received from his rabbi Gamliel. He was not instructing anyone in the assemblies for which he was responsible to do what you seem to advocate and describe as listening to the Holy Spirit. And even you cannot be so listening if you can presume so greatly as you seem to do that James has not been “listen[ing] to Him” in order to learn what he has learned and to write what he writes. One would then also infer that you believe the teachers at FFOZ and others in the MJ movement have not been listening as they hear Jewish echoes in the apostolic text and “set them forth plainly” (i.e., explicitly). What conclusions do you draw when multiple spirit-filled followers of Rav Yeshua, who all are claiming to listen to HaShem’s Spirit while seeking to understand His words in the scriptures that have been delivered into our hands, who yet differ in the meaning they see? Some of them might well be in error in some degree about what they think they hear. Some of them may be deluding themselves entirely because all they hear is the whisper of their own human spirits echoing inside their not-so-empty heads. How shall we discern which of them listens better than another? Shall we dismiss them all if they differ from what “O” believes he has heard or thinks he sees “plainly”? Shall we take a majority vote? Shall we toss a coin in the absence of a Kohen HaGadol equipped with Urim and Thummin? Shall we cast purim (a lottery)? Or should we rather examine the bases of what they each believe they understand and try to qualify why they do so? Such an examination requires study, and an acquisition of the best scholarship products that can be obtained. And, oh yes, it also requires an overall qualification provided by the “spirit” of HaShem that represents His attitudes and perspectives and values and outlook as they have been described in the Tenakh. One of these attributes is a certain degree of humility about the limitations of an individual human’s ability to interpret the scriptures or anything else unaided. Even prophets under HaShem’s anointing didn’t always have the entire picture at all times, despite hearing HaShem’s voice directly. @”O” — When Rav Shaul told the Corinthians that he was “setting forth the truth plainly”, he was not interpreting the apostolic writings (not even his own). Of course he wasn’t interpreting the apostolic writings PL. He was in the process of WRITING them, setting froth the truth plainly as he did so. Addressing the group of believers to whom he was writing, not addressing a group of theological experts who could reinterpret the letter so they could instruct the others about what Paul “REALLY” meant. @ O: I hold certain teachings in high esteem, as well. I imagine that’s how believers were convinced by Paul in his day, as well, by holding his teachings in high esteem, comparing them to the logic he put forth based upon the Torah. I trust that I am hearing from the Holy Spirit through this or that teaching based upon my own personal knowledge of the Scriptures. How do you confirm what you are saying to those who disagree with you that you are, in fact, on the receiving end of truth from the Holy Spirit? Is your personal perspective somehow spiritually certifiable? You are admonishing others to “listen to [only] the Holy Spirit.” What do you mean by that? We are all, in the end, “O”, interpreters. Yes, I would also ask for further elucidation of O’s reply to my conjecture that if you put 10 people in a room with 10 bibles, all claiming to hear from the Holy Spirit, each would hear differently. How would one determine who is hearing right and who is hearing wrong? There are a couple things we can be sure of. If a person makes a prophecy and it doesn’t come true, we are to ignore them. If someone makes a true prophecy, but teaches against the torah, we are also to not listen to them. Outside of this, there is a lot of leeway. It’s not a matter of “claiming to hear from the Holy Spirit” – the important thing is knowing the others well enough to be confident that they are genuinely seeking and trusting the Spirit’s help. If the ten people are ONLY addressing scripture for the time period that they are in the room together then it is most likely that none of them will be hearing from the Holy Spirit and any differences wouldn’t be surprising. It’s what happens outside of the room, alone and in everyday life that makes the difference. Any coming together to share will be a time of checks and balances. If all ten are being led TOTALLY by the Spirit then all will be in agreement because the Spirit would not reveal contradictory things from one person to the next. The problem is that don’t allow ourselves to be led by the Spirit all of the time and as individuals we get things wrong: we can mishear and misunderstand. Those times of fellowship together should be part of a process of refinement where our understanding can be confirmed or corrected through interaction with others. If there are differences of understanding it’s an indication that further study is needed and we need to get back to scripture and AGAIN seek the Holy Spirit’s help in bringing clarity. Until now, I have found that any understanding I’ve gained through my own bible reading has ALWAYS been either corrected or confirmed in the way described above, but the ESSENTIAL aspect is to start with scripture, trusting the Holy Spirit, and then to allow Him to bring either correction of confirmation through others. Then how come, even in churches and other congregations where I expect people to generally agree with each other and assuming that at least some of them are being led totally by the Spirit (and I strongly suspect no human being has that much self discipline or at best, very, very few tzaddikim), there will still be areas of disagreement, no matter how small? Also, are you saying you confirm whether or not the Holy Spirit is speaking to others because they agree with you and your opinions and if they don’t agree with you, they can’t be Spirit-led? Please read what I said above. The answers to your questions are very clearly there. Differences of understanding should send ALL “back to scripture and [to] again seek the Holy Spirit’s help in bringing clarity”. But that whole process stands and falls on whether an individual GENUINELY desires truth and is willing to have their understanding changed should it be shown to be wrong. By, “back to scripture,” are you referring to this or that English translation, which is inadequate at best, and horribly wrong at worst? I know people who honestly and sincerely believe different things who study scripture and seek divine guidance. I understand that things outside the realm of human testing, such as the existence or non-existence of deity, the nature of that deity and the issue of the afterlife and its nature. However, these same people who claim to hear from the Holy Spirit also make testable claims that are false, such as those connected to partisan political beliefs, the love of spreading urban legends and conspiracy theories and other things that can be easily disproven with available facts. Usually, to question or examine any of these things ends the conversation, if not the relationship. I did bring up with @James, how one reason Judaism likely allows more disagreement and welcomes debate is due not just to cultural sensibilities, but to the fact that a commonality of genetics and history provides strength and expansion to remain in relationship while holding differences in tension. I realized that not only is Christianity weaker and unable to accommodate open differences, as all that holds people together is common belief, but I would posit that evangelicalism is far weaker than say, Catholicism, which is large, powerful, relatively stable and not going anywhere soon. Think, most evangelical groups that exist today did not even exist 50 years ago, and have gone through major changes in those 50 years. Most likely an evangelical group owes its existence to a group that broke away from another, that broke away from another, that recruited members from another,,,,,It isn’t unreasonable for leaders, or even members, to fear that any new or different idea will lead to splitting or drawing away of market share. MJ and HR are, for sociological purposes, evangelical. Modern MJ has been around less than 50 years and HR for less than 20. No wonder there is so much splitting, jockeying for control and winds of doctrine wrecking havoc. It is not surprising that one person or one concept often creates so much damage. How do you confirm what you are saying to those who disagree with you that you are, in fact, on the receiving end of truth from the Holy Spirit? Is your personal perspective somehow spiritually certifiable? Dan, I don’t need to convince others that the Holy Spirit has revealed something to me. I am not and have never said that others MUST believe what I say because the Holy Spirit revealed it to me. When individuals are each trusting the Spirit they will not get contradictory revelation from Him. The more we trust the Spirit and genuinely desire the truth, the closer our understanding will be and the more often we will find ourselves in complete agreement. [I address this more fully in my reply to Chaya1957]. Primarily this issue relates to our personal approach to gaining understanding of God and His purposes. We can either take someone else’s word; we can seek a man or woman to explain everything (and submit ourselves to the doctrinal baggage they’ve accumulated and are passing on) or we can trust God to be true to His word regarding the ministry of the Holy Spirit. I’ve been involved with different churches over 3 or 4 decades and have experienced the way doctrines are instilled into their members. I’ve also seen how many of those doctrines easily crumbled when I took the time to seriously search the scriptures for myself. You are admonishing others to “listen to [only] the Holy Spirit.” What do you mean by that? I mean that IF we turn to scripture for ourselves and IF we trust the Holy Spirit to do what He’s been sent to do, He will help us to understand and make sense of what we read in scripture. The more we read and the more we trust Him the more we will understand – things will come together, something from one section of scripture will be brought to mind while reading elsewhere in scripture giving a clarity that wasn’t there before. It’s a “process” that will bring more understanding of God and His purposes instead of just knowledge about the Bible and theological tradition. 1)	I’m regularly coming across the promotion of beliefs and practices that have absolutely no biblical basis, but they are being presented as legitimate aspects of Christian/Messianic life. 2)	I’m regularly coming across people who use convoluted and imaginative arguments to explain why very simple biblical statements don’t really mean what the words on the page are saying. 3)	I’m regularly coming across people who do their best to justify their acceptance of one or both of the above. @”O” — If you are so regularly coming across these challenging ideas, perhaps HaShem is trying to challenge the way you’ve been thinking? On the other hand, one might ask where you’ve been frequenting lately that you should be encountering such notions regularly? Maybe you’ve actually been challenging yourself to seek deeper understanding? In case “1)”, perhaps there is indeed a “biblical basis” that is unrecognizable to you because your current view of “simple biblical statements” blinds you to the not-so-simple meanings that may be revealed by case “2)”. @Chaya — While I would agree with you that HC and HR were planted in evangelical sociological soil, I would put it to you that MJ is not the HC that formed some half a century earlier. MJ as such cannot thrive in evangelical soil. If I may borrow an analogy from gardening, there is a weed called “Queen Anne’s Lace”, and a second, more toxic, similar weed called “False Queen Anne’s Lace” or “Bishop’s Lace”, that produce greenery resembling that of a carrot and tend to grow where carrots are planted (go figure), but, of course, they do not develop deep roots such as the vegetable we know as a carrot. Thus the weeds don’t require anything like the depth of soil required by carrots, and one can actually cause rash or burn-like skin reactions. I would suggest that evangelical soil is not deep enough or rich enough to support MJ which requires Jewish cultural and historical depth. Who knows? Maybe that’s why HC masquerading as MJ springs up like weeds while genuine MJ is crowded out and thrives only in protected well-tended fields. Of course, this analogy is of no help envisioning your point about the robustness of Judaism that tolerates multiple conflicting opinions while evangelical protestant groups proliferate by splitting apart and are therefore sensitive to divergent ideas that could provoke further splitting in search of the truest doctrine. But, then, analogies like this one are merely illustrations, and limited in how much they may elucidate. Pl, certainly there are great differences between MJ and HR. The greatest sociological difference I see is that Jewish people who have come to know Messiah are grateful and happy. They do not hold animosity towards the Jewish community or its leadership, even if their religious traditions were missing spiritual connection and meaning. Non-Jews who joined themselves to MJ tended to be attracted to something they saw. Forty years ago, many non-Jews in MJ came out of Catholicism, which respects tradition, scholarship and discourse. Most of the gentiles who have taken over MJ now are from Neo-Pentecostal backgrounds that eschew scholarship, view tradition as unspiritual and legalistic and love emotionalism. HR folks seem as if their foundation is anger, disgust and denigration of their past evangelical/charismatic roots, but they maintain the same mindset. I realize this is oversimplification and a bit of broad-brushing, but MJ is filled with the evangelical mindset, as well as its theology mostly. There is also a lack of new life in addition of new people (not included MJ “church,” hoppers) and breakthroughs in the lives of the current members. So, what do they have to do except fight over marketshare and picayune stuff. Depending upon the group, MJ may be adding aspects of Judaism, but it is rooted in evangelicalism. This isn’t absolutely true of every Hebrew Roots person I’ve spoken with (face-to-face or over the Internet), but it crystalizes my experience with the vast number of Hebrew Roots people/congregations I’ve encountered over the past ten years or so. Shavua Tov, Chaya — The difference which I was more interested in pointing out was the one between HC and MJ rather than between HR and MJ. It is here (HC vs,MJ) that differing religious perspective affects the sociological environment, and where one reflects the evangelical viewpoint and the other consciously, deliberately, separates itself from it due to its recognition of the threat it poses to its very existence. I don’t know much about HC as I had never been a part of it, although I have spoken with people who were there prior to the change of name in 1975. It seems the major change was identifying as Jewish (even though we were mostly not accepted as Jewish) engaging with the culture, the community, tradition, the moed. Back in the 70’s and 80’s there was very little torah, and keeping the moed was for purposes of identification and continuing in practices that were part of our lives, not for the purpose of obeying torah. I suspect much of the reasoning behind the clinging to HC, as there were attempts to change the name prior, was due to the older folk who suffered severe rejection and persecution from their Jewish families and the community. So, I can understand that they chose to not open old wounds. But few of that group are still alive. It seems like an evolution. I have decided to jettison every last vestige of evangelical theology. I am sort of like a scientist that doesn’t yet have the answer, but I know which answers are wrong. My hope is to understand the first century writings in light of Jewish thinking, wisdom and history. Now, I know a lot of people are attempting this, but we really need someone steeped in rabbinic thought who can also communicate to the general public. I believe past works are helpful, but none have hit the mark. I know who I would like to see do this, but the Holy One will have to reveal this. It seems, from what I can see, that nearly all of formal MJ adheres to some form of evangelical theology. Perhaps this will come from the Jewish community, as Jewish people and leaders within the community begin to embrace the real Jewish Yeshua (not the dressed up evangelical one) and remain within the Jewish community. I remember back in the 70’s, Sid Roth said that they day would come when traditional synagogues became Messianic (in the sense of believing in Yeshua as Messiah.) I believe this will come to pass, but not in the way they thought. Perhaps the first step will be acknowledging Yeshua as a tzaddik, reclaiming him and examining his teachings with fear or disgust. Unlike MJ, they are not going to buddy up with evangelicals, speak on their conference circuit or sell books via their publishers. Like the first century, I believe we will see signs and wonders validate the message because for the first time in 2,000 years, the message will be true. I believe this is one reason the ten men of all the languages of the nations will take a hold of the garment corner of he who is a Jew, and go/walk with us because they know God is with us. The only way I can think of that these will know God is with us is not because of our wisdom, theology or cultural richness, but because they see the power of the living God in reality, not in hype, emotionalism or manipulative fraud. Just have to see what the year brings. @Chaya — I suspect that you’ve experienced a great deal more of HC than you may realize, because the organization name change, which then spread to the entire sociological circle, did not necessarily mean that those who were outvoted in the organizations changed their views to embrace the new paradigm. That’s why so much of what claims to be MJ is really still HC in a new tallit, and thereby still reflects the evangelical views you cited. Those who have actually pursued the MJ paradigm have tended to be marginalized. Currently in the US, MJ (not including HR) is about 90% not Jewish, and of that 90%, it is mostly Neo-Pentecostal. This population brought its culture with it, of anti-scholarship, love for entertainment and excitement/sensationalism, as well as porting over the evangelical practice that anyone can be ordained. That all being said, there are still good people left in a bad system. But one must compromise to remain in the system, and that is to engage in the practice of attacking competitors within the movement or those outside and covering up and ignoring the sin within. I know some are so invested in the system that they believe they can fix it. MJ leaders used to be graduates of Christian seminaries. Now they are made up of those who received an online, unaccredited “rabbinic,” degree and fake smeicha. It appears many of these never even earned a real college degree in anything. At least the old guard didn’t call themselves rabbis. Non-Jews don’t have a problem with this, as this fits with their history and they don’t know any different. Most Jews would feel differently. Any person that I would respect as a leader better have exponentially more knowledge and wisdom than I do and be able to teach me something. And if I even smell fraud and deceit, I take my leave. The issue is not able being gentile inclusive, as some argue, but about adopting paradigms that are inconsistent with Jewish history and practice and often highly offensive. I’m not saying good hasn’t come out of it, as many have their eyes opened to the beauty of torah and Judaica and have been able to let go of the taint of covert antisemitism. Despite all the mess and confusion, I know the Holy One is in control and will lead and guide those who wish to be led. One confounding variable is that if a person is in a religious camp, they tend to think serving God means serving their camp and adhering to its beliefs and listening to its leaders. Onesimus, you seem to toggle back and forth between “just me, the Bible, and the Holy Spirit” and “just me, the Bible, the Holy Spirit, and those Christians who think like me.” To your credit you seem to be saying that another human being in the Spirit might actually have something to say to you that might modify your thinking and Biblical interpretation, but you seem to continue to disdain what anyone outside of your immediate group might say or write. I’m specifically concerned with your (apparent) dismissal of being able to read the Bible in its original languages, which could modify the meaning of what you called “very simple biblical statements” (in English) as well as setting aside any of the immediate cultural and interpretive context in which the Bible writers and readers would have used to understand the topic at hand. You expect to get all of this information by supernatural means, but what if the Holy Spirit is actually guiding, at least certain people, to become educated in languages and ancient Hebraic interpretive methods including word play and idiom, in order to have these people gain greater insights into Biblical understanding? I don’t think that’s an unreasonable thing. After all, the original hearers and readers of these teachings would have already known those languages and interpretive matrices because they were part of their lived cultural experience. We, in the 21st century, are the ones who need the extra educational help. After all, Isaiah 1:18 says, “let us reason together,” not “let us emote together.” Also, in Acts 17:11, the Bereans “searched the text,” that is, they studied in order to verify that the teachings of Paul were accurate. Further, Acts 17:17 says that Paul was reasoning with the Jews and proselytes in the synagogue in Athens. Apparently, actually studying wasn’t considered a bad thing along with discussing and reasoning together about the scriptures. PL Said: @”O” — If you are so regularly coming across these challenging ideas, perhaps HaShem is trying to challenge the way you’ve been thinking? So God is trying to challenge me to abandon scripture and to adopt tradition instead? To put aside scripture so I can choose a collection of teachers who would tell me what I’d prefer to hear? Teachers who would soothe itching ears. James it is clear that you close your eyes to what I’ve been saying all along and that you prefer to misrepresent what I’ve been saying. All along I’ve said it’s important to address scripture for ourselves (and not through “bible study aids”); that we need to trust the Holy Spirit to give us understanding instead of looking around for teachers who say what we like to hear; and that fellowship with other believers helps correct or confirm the understanding we get from our own studies. As for the part about “and those Christians who think like me…” – that is up there with the most dishonest accusations I’ve come across. What is it about the word CORRECTION that you don’t understand? How would correction come about if I only gathered together people who would agree with me? Also, in Acts 17:11, the Bereans “searched the text,” that is, they studied in order to verify that the teachings of Paul were accurate. They searched the scriptures (for themselves) to check the validity of Paul’s teaching. It doesn’t say that they sought out Paul so he could interpret scripture for them – or so that he could tell them what scripture “REALLY” meant. Apparently, actually studying wasn’t considered a bad thing along with discussing and reasoning together about the scriptures. And since when have I said study or discussion or reasoning together about the scriptures is a bad thing? I’d just like to know how much “discussion or reasoning together” you can do with a commentary or study bible, or the writer of other study aids? You present a confusing portrait of what you call studying, since on the one hand, you rely totally on the supernatural gift of God through the Spirit, and on the other hand, you allow for people to actually think and reason as well. All I’m saying is that you can have both, plus, if you actually listen to other human beings, then what’s the difference between listening to one in person and one via the Internet or in a book? Paul is no longer with us so I can’t ask him what he thinks, I only have what he wrote and he interpreted the Bible, he had no idea that his letters would actually become part of the Bible. If he were alive today, he’d be a commentator, an interpreter, an scholar, and expert. If he were alive today, would you consider him an invalid source of information? Now tell me, “O”, where have you seen any hint of a suggestion from me that “… God is trying to challenge [you] to abandon scripture and to adopt tradition instead?”. I’ve tried to point out that the very existence of scripture represents tradition, and that the two notions are not antagonistic to one another. I believe it was James who replied at one point that Rav Yeshua only condemned a few particular Jewish “traditions of men” that happened to ignore the intrinsic spirit of HaShem’s intent in Torah. He did not condemn all tradition of all kinds for all time. You really make a serious error to pit these notions against one another. The challenge I’ve offered you is to adjust your epistemology with which you approach scripture, and to suggest that your report of encountering other such challenges might be a hint from HaShem to give it some consideration. I think it is also fairly clear that you are already facing a collection of teachers who are telling you things that you do NOT wish to hear, rather than teachers who would soothe your itching ears. PL: If you know of any MJ that do not hold to evangelical theology, I would love to know. Those I am aware of are not part of MJ. However, returning to the question of evangelical theology and MJ divergence from it — What I have been referring to as truly Jewish messianism, or classical MJ as distinct from crypto-HC, is less focused on theology than it is on praxis, which is a view consistent with the rest of the Jewish world. Some of its scholars (and I’m speaking of doctorates and PhD candidates, here) are pursuing various ways of codifying and expressing distinctively MJ views on topics such as soteriology, messianology, ecclesiology, eschatology, epistemology, and the like, though I don’t happen to know of anyone who is trying to compile a systematic theology to rival some of the works of Christendom, evangelical or otherwise. Moreover, I’m not convinced that codifying a comparative theology is a particularly productive course of action. At present, it seems to me, the appropriate priority for MJs is to re-integrate with the rest of the Jewish community. I recommend consistency with modern “national-religious” (i.e., Rav Kook style) orthodoxy, though some others advocate for inclusion of strong ‘Hasidic elements. At the very least, we should demonstrate (and a least some of us do demonstrate) that we are not properly to be tarred with the ancient brush that labeled us as “minim” (factional sectarians) in antagonism with others in the Jewish community. Some of our (suggested?) theological adjustments also distance us from evangelical theology to eliminate Jewish charges of “heresy” and “idolatry”, Of course, then the evangelicals start yelling “heresy”, but one can’t please everybody. It is not a goal at all to compare MJ views with evangelical ones — as if they were some sort of standard — but rather to develop MJ views afresh from the apostolic writings as examined through the lens of the Jewish literature that sheds light on their Jewish background and their intrinsically Jewish character. I’m curious, though, Chaya, about whom you were referring to, that you don’t consider part of MJ, that diverge from evangelical theology. You present a confusing portrait of what you call studying, since on the one hand, you rely totally on the supernatural gift of God through the Spirit, and on the other hand, you allow for people to actually think and reason as well. It has been you who has been regulalry portraying the idea of trusting the Holy Spirit as “checking your brain at the door”.. There is no contradiction in trusting the Spirit and using one’s brain to think and reason. If [Paul] were alive today, he’d be a commentator, an interpreter, an scholar, and expert. If he were alive today why would he be any different to what he was like when he WAS alive? Maybe if you took some time to put aside all study aids and devote time with scripture only, without referring to others to explain what it “really means”. If you actually put trust in the Holy Spirit to help give you understanding – you might come to realise how misdirected your arguments are. I really can’t understand the resistance to the idea of spending time alone with God and scripture, avoiding the influence of ideas and claims of others. In fact it is often the latter that results in people NOT thinking or reasoning – instead there has been far too much blind acceptance of the teachings of experts because they are considered to be more qualified and capable to understand than the average believer. The appealing thing about “studying the bible” via study aids etc, is that it’s not too hard to find someone teaching what we WANT to hear, who appeals to our own particular prejudices; someone who can explain those challenging parts of the Bible in a much more palatable way. It’s not so convenient to face scripture and have to deal with those challenges ourselves. Who knows we may find ourselves being shaken from our theological comfort zones, not to mention aspects of our comfortable lifestyles. The flip side is that studying by yourself or only with people who think the same way as you do can lend itself to a lot of “self-fulfilling prophesy,” so to speak. It’s easy to assume that every thought that enters a person’s head comes directly from the Holy Spirit while you are studying, but people are masters at convincing themselves that what they already believe is that God is telling them to believe. I’ve seen this happen in more than one Christian group. Since communicating with the Holy Spirit is a totally subjective event, a lot of people rely on their emotions to tell them when the Spirit is “speaking” and what He might be saying. I’m not suggesting such communication exists, but it wouldn’t hurt to test it out by challenging yourself with different ways of looking at the Bible. As Dan said, we all interpret scripture starting at the level of translation from the original languages into the various languages the Bible is read in today. Even the writers of the Bible were interpreting earlier scriptures based as much on their experiences (which as PL states, includes tradition) as the influence of the Holy Spirit. We are all interpreters of everything we see and hear. Even Yeshua was interpreting Tanakh, if perfectly. When in Jerusalem for Passover at the age of twelve, He was found sitting and listening and asking questions of the teachers there. I think this discussion about “hearing from the Spirit” is downgraded to being overly simplistic if “hearing from the Spirit” is being touted only as that which is exclusively done through studying the Scriptures. Is the Spirit to be limited in such a way? To a degree you are right there – because I do not wish to hear things that diminish God and exalt man and I do not wish to hear things that exalt Jewishness and even non-Messianic Jewish tradition at the expense of Jesus, the King of the Jews and His gospel. I think this discussion about “hearing from the Spirit” is downgraded to being overly simplistic if “hearing from the Spirit” is being touted only as that which is exclusively done through studying the Scriptures. “Hearing from the Spirit” is NOT being touted as “exclusively done through studying the Scriptures”. I’ve not been saying that the only way to hear the Spirit is through the scriptures, I’ve been saying the way to understand the scriptures is through the Spirit, the One who inspired the scriptures to whom ALL believers have access. The point I’ve been making all along is that we need to trust the Spirit to give understanding when we study the Scriptures instead of relying on commentaries, study bibles and the countless other “study aids” that direct the way we understand scripture. Again, why are people so afraid of putting aside the study aids, spending time with scripture without them, and seeking the Holy Spirit to give understanding? Why so little faith in God and so much faith in men, often men we don’t even know? Could it be because we don’t know God so well either? Massive glaring assumptions, Onesimus. I started my annual read through the entire Bible earlier this month. In the past ten days or so, I’ve read Genesis 1 through 37, Job 1 through 12, and Matthew 1 through 13. At no time did I put the Bible down to consult a commentary or other “third-party” source of information, so it’s not like I never just read the Bible. That said, I don’t reject listening to all sermons or reading informative commentaries to gain insight and as part of my ongoing education and devotions. I just don’t see the two processes as mutually exclusive. You keep making this all about a choice between God or men when it’s not like that. Yea, that’s usually the bug that’s hidden up the tuches of all the, “I hear from the Spirit,” folks. So what is your purpose here? To straighten us out with your divine guidance? Unfortunately, it’s always been the mission of some Christians to use their special revelation of the “Holy Spirit” against the Jewish people. I don’t think that’s what Onesimus is saying, but it’s the tradition he’s inadvertently drawing from. …but it’s the tradition he’s inadvertently drawing from. It’s drawing on the message given through scripture NOT any tradition to recognise that the King of Jews deserves more attention and is far more important than “Jewishness”, and that His gospel is more important than any traditions (Jewish or gentile) that leave or push Jesus out of the picture. There is nothing more “against the Jewish people” than acting as if recognising and following their Messiah isn’t essential– that somehow Jewish heritage is sufficient. @O: What right do you have to tell Jews what to do? Do you really think any of us are listening to you? Chaya1957, have I been telling Jews what to do? I’ve been more than willing to listen to and be directed by the Jewish writers of scripture, and especially to the Jewish Messiah they write about. What right do you have to tell Jews what to do? I don’t recall that I’ve told “Jews what to do”. My comments on this blog have been directed to professing followers of Jesus/Yeshua, whether they are Jewish or Gentile followers of Him is irrelevant. Any Jew (or Gentile) who doesn’t recognise that Jesus is the Messiah, and that He is the only way to God the Father, has no need to consider that anything I’ve written is addressed to them. Oh, dear — I suspect that Onesimus might not wish to hear that he’s been drawing from the traditions of men, even inadvertently. [:P] He might also justifiably prefer if we addressed our remarks about his comments directly to him rather than about him. Nonetheless, he has invoked several concepts, among the things he does not wish to hear, that could bear a bit of clarification — since apparently he feels that such things have been expressed here. Let’s see, they included “diminishing G-d” and “exalting man”, “exalting Jewishness”, “exalting non-Messianic-Jewish tradition”, “at the expense of Jesus, the King of the Jews”, and “His gospel” (where I suspect that the capital “H” was a quite deliberate assertion or invocation of Deity). That’s quite a list. I’m pretty confident that no one posting here has said anything that diminished G-d, if such a thing were even possible, nor attempted to place Him on a balance-scale together with “man” such that lowering one would raise the other. I suppose the notion of “exalting man” depends somewhat on whether “man” has been diminished in some fashion that requires him to be picked up, dusted off, and restored to a suitable state. Hmmm… that sounds a lot like what HaShem has been trying to do with humanity for a long time. On the other hand, humans have at times been guilty of overweening pride and self-aggrandizement; but I don’t see anyone here doing that either. I see, rather, a concern for a proper evaluation of the gifts of knowledge and insight that HaShem has placed already into human hands and hearts and heads. Now the notions of exalting Jewishness or Jewish tradition raise the question of whether these entities have been previously denigrated and should properly be valued more highly. In this case, particularly in the context of recognizing their influence on the formulation of the scriptures and upon anyone’s ability to understand them properly, it certainly is asserted that they have been undervalued and denigrated — and that a corrective is needed to raise them to their proper valuation. Hence it may be argued that if Onesimus or anyone does not with to hear this, they are denying themselves access to proper comprehension of the scriptures upon which they are based. But we should not ignore the context which protested, in effect, that this re-evaluation was “at the expense of”, or somehow diminished, “Jesus, the King of the Jews”. That opens the question of whether this phrase represents the fictitious anti-Jewish demigod invented by traditional Christianity to oppress Jews under the thumb of a supposed king controlled by non-Jews. If so, then certainly the notion must be not merely diminished but demolished outright. On the other hand, if this phrase was intended merely to address the genuine Israeli Galilean rabbi Yeshua who is qualified to serve as the future messianic king, then improved recognition of how Jewish were he and his teachings can only be beneficial to our appreciation of him and them. We learn more, and more accurately, about him from his Jewish context. 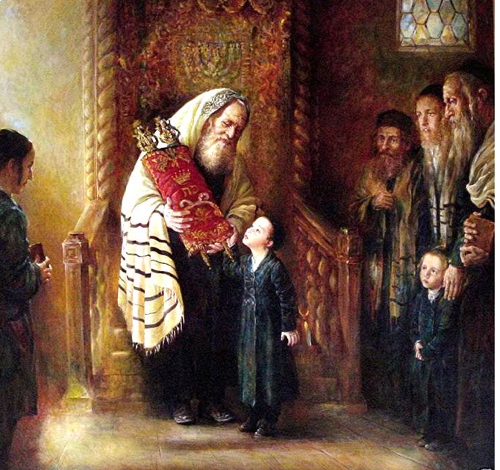 The traditions that have preserved Jewish knowledge are thus not to be viewed as antagonistic to him or to us, but rather they are our greatest allies. Now we may consider the question of what is the “gospel” or good news that he preached. We find oft-repeated descriptions of it as the good news that the kingdom of heaven is near to us, even immediately accessible. We also find references that entering into it has pre-requisites like repentance, that it is characterized by a number of positive character traits and “attitudes to be” (i.e., a wordplay on the term “beatitudes”), that greatness within it depends on performance and teaching of Torah that exceeds even the high standards of the Pharisees, and even that entering into it is a continually-repeated process (per the aorist Greek tense employed in Mt.5:20). It is significant to note that the gospel he preached was not a gospel about himself. His own special contribution to the repentance that is pre-requisite for entering into its mindset is elaborated separately. Finally, I must note that this reply has become rather long (not such a new phenomenon for me), and I cannot presently take up a topic of the size required to address the capital “H” which would need to be addressed with a clarification of the difference between divinity and deity and examination of passages like Phil.2:5-11 and Ps.82:6. PL you’ve made it more than clearly many times that to you Jesus is nothing more than a man – albeit a man “qualified to serve as the future messianic king”. But in clinging to that belief you close your eyes to countless scriptural references that make it clear that He is God. Then when someone should dare to bring up any of those references, you try to spin a philosophical web in an attempt to cover up the clear truth being expressed. This blog post is almost ten days old and has accrued over sixty comments. Unfortunately, the conversation as turned into more of an argument than a debate and I can’t see much more usefulness coming out of the dialog. I’m closing the comments here so we can all move on. Thanks for participating.